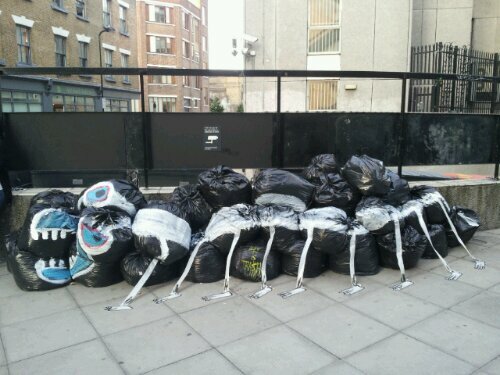 Art is Trash, Rubbish Art in East London … Literally! 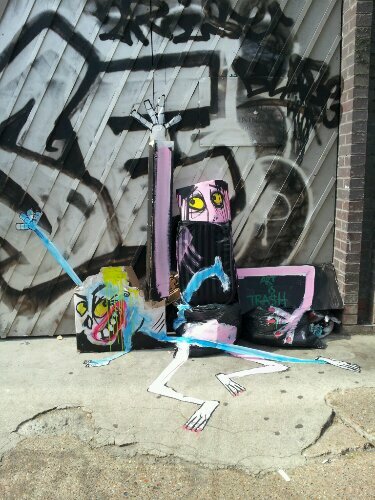 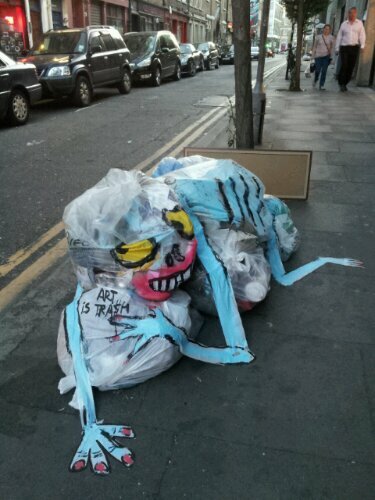 A new art phenomena sweeping East London over the past few weeks has been the Trash Art of Spanish artist Francisco de Pajaro. 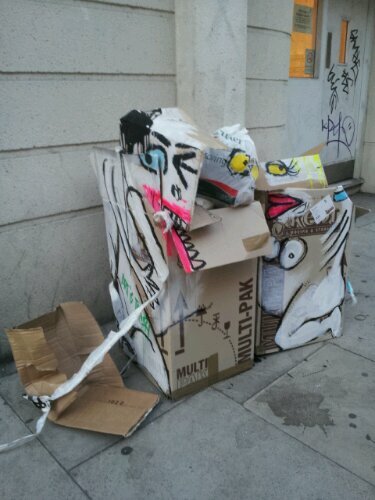 Best known for his work in Spain producing trash art in places such as Barcelona and Madrid, de Pajaro has been making a name for himself around London with his innovative approach to creating art on the street. 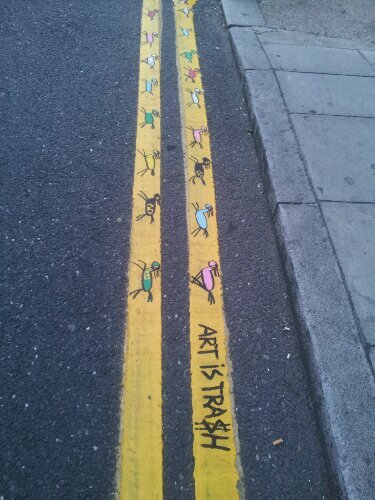 Often amusing and playful, the art is not meant to last long. 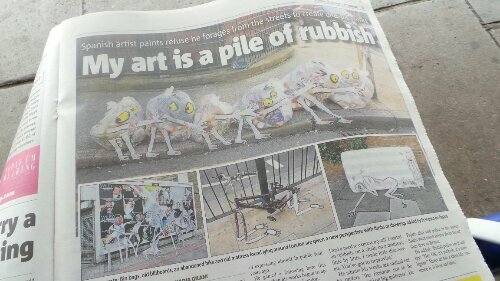 No soon as the rubbish has been placed outside awaiting collection, then the artist strikes. 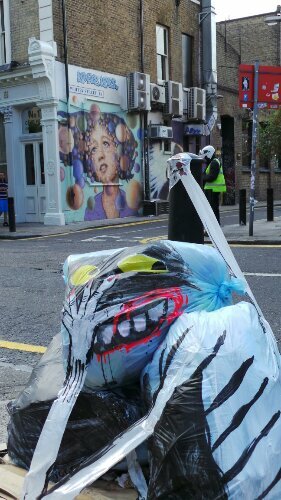 Just a few hours after the rubbish art has been created then the bin men come to take it away. 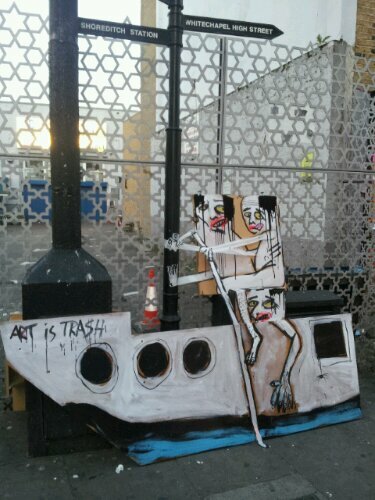 Disposal art in it’s truest sense. 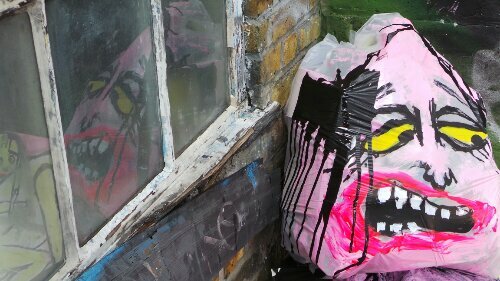 These pictures were taken pottering around the East End only yesterday on an impromptu street art tour with the legendary Bablu’s Blog and gives a whole new meaning the the concept of Here Today, Gone Tomorrow art. 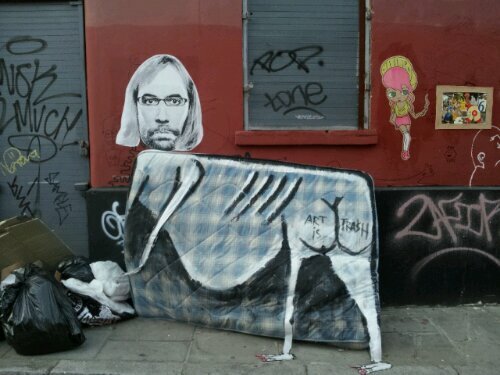 Update – 14th July 2013 – Francisco was around Shoreditch again today and I actually managed to catch him at work painting a mattress. 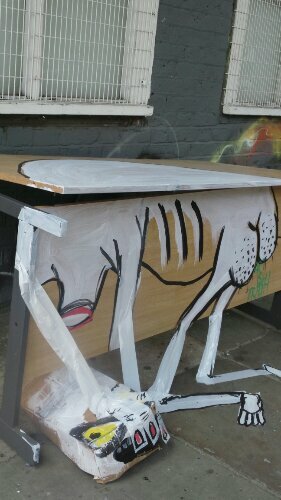 He picks his areas and just blitzes the place and he works fast, very fast, there’s no messing about he’s in and he’s out. 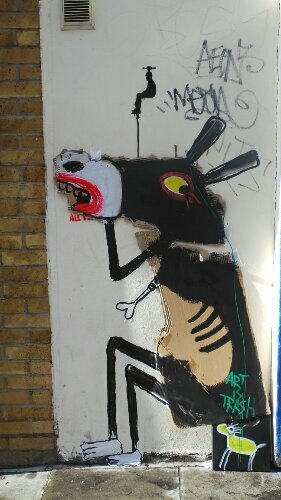 Speaking to him, he’s in London for a month before he heads back to Spain so don’t be suprised to see some more of his work popping up around the place. 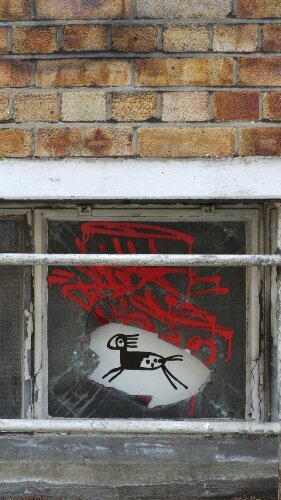 Update – 28th July 2013. 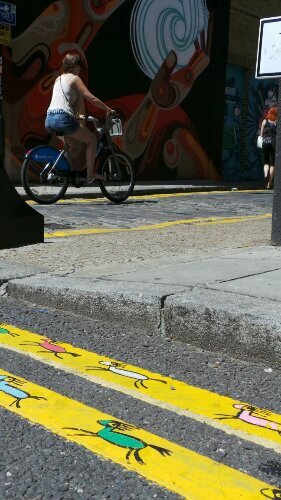 Spotted Francisco in action once more in Shoreditch, he must really be getting a feel for this part of the city. 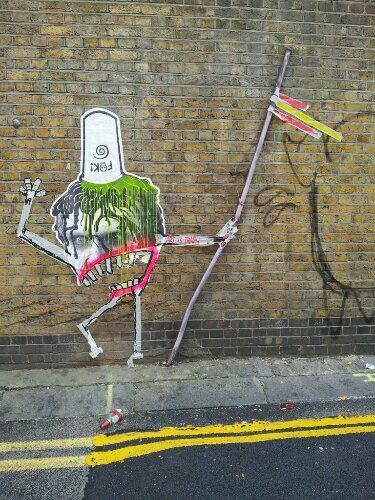 Wandering around the streets following a photography workshop held by the excellent Shoreditch Street Art Tours it was the best opportunity to get some snaps of some of his new work. 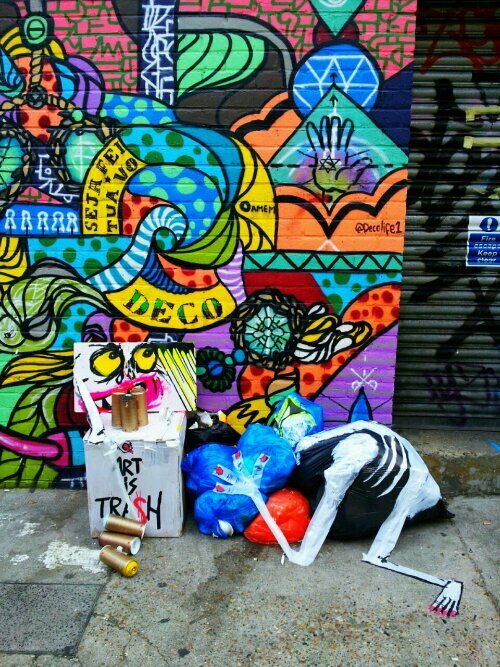 Update – 31st August 2013. 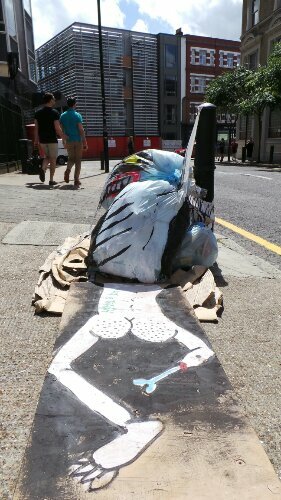 Another wander around Shoreditch revealed a few more pieces and Francisco has turned his attention to trashy fly posters as opposed to normal trash. 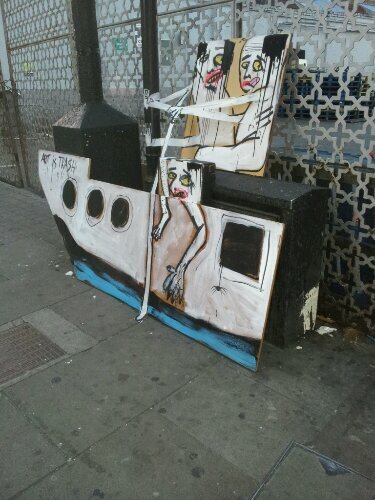 Update 8th September 2013 – He’s at it again, here’s a few more pieces, he’s even made the press. 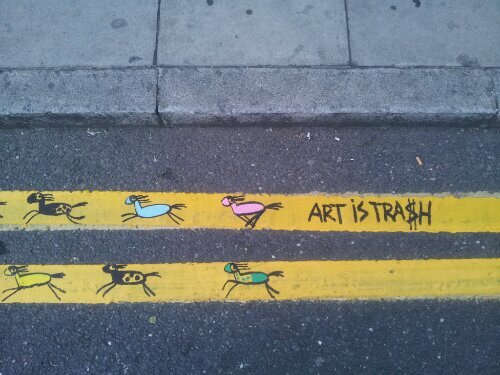 Digital Journal – Is Trash Art? 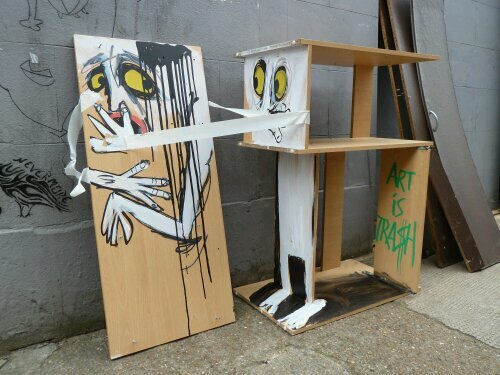 Artist Francisco de Pajaro thinks it is. 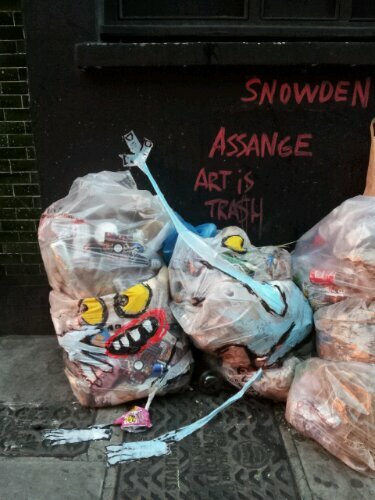 Awesome post IC, Really cool to see some of the actual Art is Trash work.